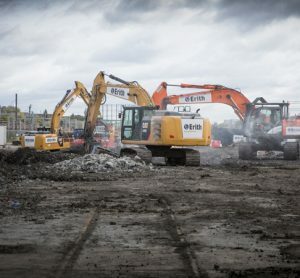 The new depot will offer digitalised service and maintenance of RXX trainsets for 32 years, with guaranteed vehicle availability of over 99 per cent. In the future, 75 employees in the Rail Service Center in Dortmund-Eving will service and maintain the 82 electric RXX Desiro HC multiple-unit trains for a period of 32 years. The digitalised and paperless concept ensures that the trains’ agreed availability of over 99 per cent can be guaranteed. 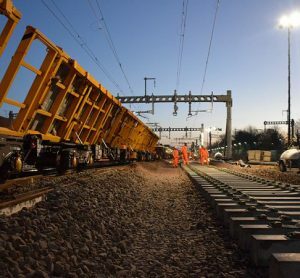 “With our digitalised service and maintenance, we see ourselves as a pioneer in the industry and will ensure that the RRX trains are reliably available to passengers. 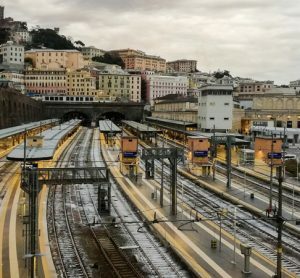 We’ve equipped the Rail Service Center and the trains with the latest diagnostic systems that enable us to detect faults before they can interfere with operations,” said Sabrina Soussan, CEO of Siemens Mobility. 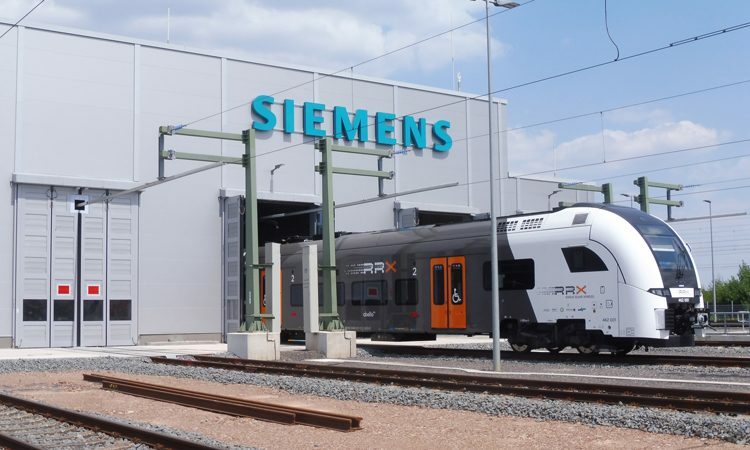 For this purpose, Siemens Mobility has laid around 5.5km of tracks on the grounds of the former Dortmund-Eving marshalling yard and provided a six-track workshop building, a three-story warehouse and staff facility, a gatehouse building, outside storage areas and a facility for washing the trains. All maintenance processes can be managed completely without paperwork: Employees are provided with their orders and all required information for repairs and maintenance on tablets. While in service, the trains continuously deliver status data via multiple sensors to the depot, where it is processed. Each train generates between one and four billion data points per year. Using intelligent algorithms, data experts at Siemens Mobility analyse the data for each critical component on the train to detect any deviations from normal conditions. Then, if required, error predictions can be calculated and workshop technicians provided with recommendations for acute service or routine scheduled maintenance. With this information, necessary measures can be planned and prepared before the train arrives at the depot. Spare parts can be ready and the employees’ work can be optimally coordinated. This ensures that the time trains spend in the depot is as short and efficient as possible. The RRX workshop has a state-of-the-art vehicle inspection system (AVI) which is being used for the first time in Germany. As the trains enter the workshop grounds, they pass the AVI facility where the wheels, axles and tread patterns of each car are automatically inspected using modern laser technology. This data is directly entered into the system, evaluated and further processed. There is also a high-performance 3D printer that quickly and directly makes plastic spare parts that would otherwise not be available on short notice, or at low cost.